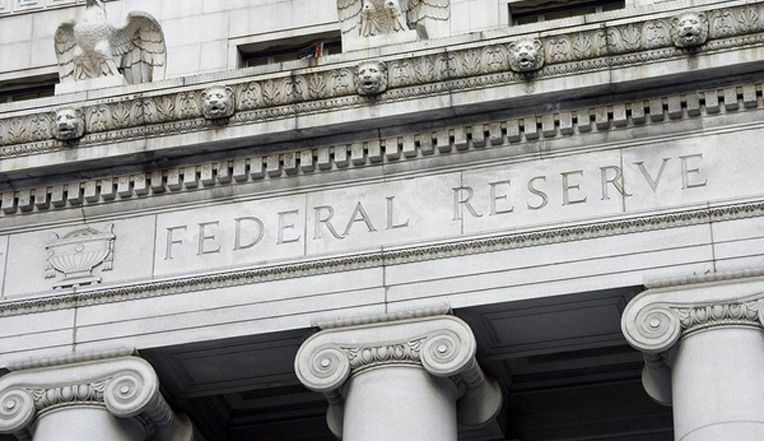 Why Does the Federal Reserve Raise Interest Rates and What is the Impact? Our Nation's Federal Reserve has certain economic targets to keep the country's growth moving in the right direction. They prefer to keep the federal funds rate between 2 and 5 percent. It is in this range that the nation's gross domestic product (GDP) will grow annually between 2 and 3 percent. Ideally, we would have a natural unemployment rate between 4.5 and 5 percent and domestic price increases will remain below the agency's target inflation rate of 2 percent. Goals and targets aside, there have been times in the past that the federal funds rate has far exceeded that ideal range. We have also had periods where it was well below the stated sweet spot. In each instance, and every nudge or cut in between, there is a specific goal in mind when a change is made to this benchmark rate. The current Federal Funds rate is 1.25%, which is unchanged from the last rate hike in June of this year. Many believe that the Federal Open Market Committee (FOMC) dictates this rate when they meet, but this is only partially true. In essence, the FOMC decides on a new Federal Funds rate target, and then the Fed will buy and sell securities to hit that target. When the federal funds rate goes up, there is an immediate jump in the prime rate, which is the credit rate that major banks extend to their most credit-worthy borrowers. This is the rate on which all other forms of consumer credit are based, so changes in this rate will certainly impact decisions related to selling mortgages or buying loans from banks. One fascinating aspect of the federal funds rate is the amount of misinformation and confusion that exists around the process on the consumer side. Wallet Hub conducted a recent survey which revealed that 16% of people believe the Fed is in charge of consumer credit scores and 22% think that rate hikes harm their credit. An astonishing 50% believe that a rate hike will make their fixed rate mortgage more expensive. While none of these are true, rate hikes do have effects on the market, which is the point of the action. The Fed uses the Federal Funds rate as a tool to control U.S. economic growth. This makes it not only a key interest rate in our markets but also throughout the world. Unfortunately, directing economic growth isn't an exact science, so making a change to the rate for one purpose may have undesired consequences elsewhere. At its most basic level, changing the Federal Funds rate will affect the rates that other banks charge for short-term capital. This includes the London Interbank Offering Rate, also called the LIBOR, which is the rate that banks charge one another for one-month to one-year loans. A Fed rate change will also impact longer-term interest rates. For example, investors that want a higher return on long-term Treasury notes would benefit from a rate hike. These yields also drive long-term conventional mortgage interest rates. Where things become more complex is the way in which the Fed uses interest rates to control the economy. After the 2008 financial crisis, the Fed used interest rates to stimulate the economy. Specifically, we went from 5.25% at the end of 2006 to 0.25%, the lowest possible rate, at the end of 2008. This was a drastic move after a stock market crash, several major bank bailouts, and the implosion of the U.S. housing market. This expansionary monetary policy was meant to encourage borrowing and economic growth. Over time, this has occurred, but it has also created a runaway stock market that some experts believe could be overvalued. When the Fed raises interest rates, this is referred to as a contractionary monetary policy. A higher federal funds rate lessens the ability of banks to borrow the money they need to maintain their mandated reserves. When banks have fewer reserves, they make fewer loans, and the loans that they do make are at higher interest rates. Since credit markets contract, both businesses and consumers will borrow less, which slows down economic growth. An interest rate hike also affects mortgages and housing markets. Adjustable-rate mortgages become more expensive, and new homebuyers can't afford to purchase as much as they could in the past. This could cause housing prices to drop, meaning that homeowners have less equity in their homes. House poor homeowners may be inclined to spend less, which also slows economic growth. The balancing act that the Fed must maintain is that between controlling growth and inflation. If rates are cut too much, and for too long, inflation could become an issue. However, a quarter-point increase in the Federal funds rate might curb inflation, but it could also slow growth and trigger a decline in the markets. Trying to control inflation is a tough order because not all inflation is "bad." A 2% growth rate for the economy is a general target that keeps price increases stable and allows us to achieve what is considered full employment. Unfortunately, interest rates alone can't always control these factors as elements such as oil prices and currency values come into play. What's the Latest News from the Federal Reserve? While the Fed didn't raise interest rates in September, they have made some radical policy decisions that could affect the market. 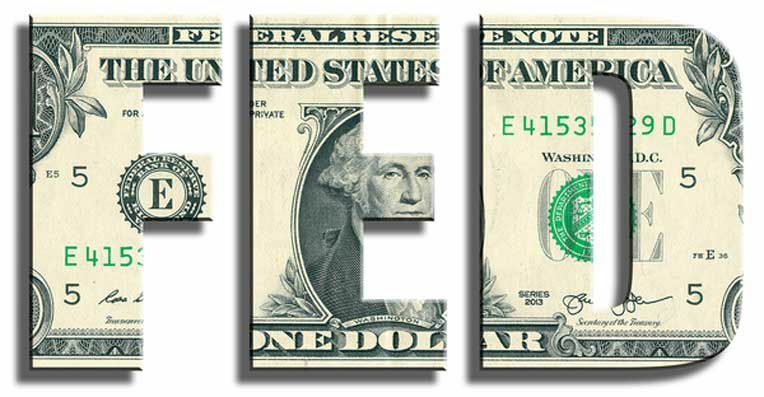 In addition to slashing interest rates to almost nothing after the 2008 stock market crash to stimulate growth, the Fed also invested trillions of dollars in an economic stimulus package. In the years following the 2008 financial crisis, the Fed invested more than $4 trillion in U.S. Treasury and mortgage securities to help shore up stagnating economic growth and keep borrowing costs manageable. This month, the FOMC announced that they would begin withdrawing $10 billion per month starting in October and gradually accelerate those figures to $50 billion per month sometime next year. The Fed promises that the effects of this action won't be felt by the markets, but the actual impact remains to be seen. When making any adjustments to the federal funds rate, the goal of FOMC is twofold. First, the Fed is looking to stabilize prices in the market, meaning that it has a target U.S. inflation rate with a goal that the target rate is either maintained or not exceeded. The other goal is to maximize employment. Inflation occurs when the price of goods and services goes up over time. Inflation itself is a measure across the entire economy as opposed to just one area or industry. The Fed considers several economic indicators and price indexes to measure inflation. Some of the figures that the Fed uses to gauge inflation are the Consumer Price Index (CPI) and Producer Price Index (PPI) issued by the Department of Labor as well as the report of Personal Consumption Expenditures (PCE) produced by the Department of Commerce. The Fed also looks at national employment figures and may use different estimates provided by the Bureau of Labor Statistics (BLS). The BLS has a payroll survey, which measures responses from a sample of approximately 400,000 U.S. businesses. There is also a household survey which estimates the nation's employment levels based on interviews with approximately 60,000 households. There wasn't much activity by the Fed until this time last year, when it was thought that our markets had perhaps rebounded too well and were due for a pullback. In fact, fears of another stock market crash began to surface in 2016, which is just one of the reasons that the Fed took action at the end of the year. Through 2015, GDP growth was 2.6%, unemployment was 6%, and inflation was just 0.7%. Interest rates had been near zero at 0.25% for six years, and the Fed decided it was time for a change. In December 2015, the Fed bumped rates up to 0.5%. By the end of 2016, GDP growth was 3.2%, unemployment had dropped to 4.6%, and inflation was 0.4%. On December 14, 2016, the FOMC raised the Federal Funds rate to 0.75%. Rates were raised again twice in 2017, to 1.0% on March 15 and 1.25% on June 14. 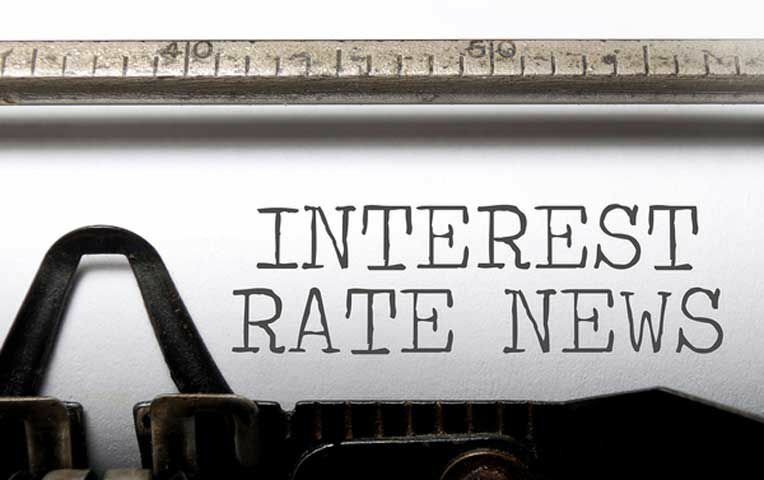 While the near-zero percent interest rates encouraged institutional and consumer lending, the recent rate hikes have seemed to put a damper on that activity. In fact, demand for both industrial and consumer loans is down. Growth in industrial loans was 9.5% at this time last year, and it has sunk to just 1% currently. In less than a year, the growth rate in consumer auto loans has more than halved. Finally, the growth rate in real estate loans is also falling, now sitting at a level that is just over half of what it was a year ago. The Fed has spent nearly a decade trying to reverse the effects of the Great Recession and prevent another depression in this country. Their efforts have been largely successful, albeit with some unintended consequences in the stock market. The agency, however, believes that it's just about time to remove the economic training wheels in the form of severely depressed interest rates and other stimulus programs. Twelve of 16 officials on the FOMC are predicting another rate hike in 2017, which is the same number that forecasted the last hike in June of this year. While there may be a hike, it won't be as dramatic as previously thought due to growth numbers that remain weak. The target stabilization benchmark has dropped from a median estimate of 3 percent in June to 2.8 percent this month. In the end, the Fed still wants to encourage continued borrowing. Since the federal funds rate is the benchmark core rate for the U.S. banking industry, it would follow that mortgage rates would move in concert with changes in that rate. As the fed began to slowly increase interest rates over the past nine months, there was a similar effect on mortgage rates. The interest rate on a 30-year fixed mortgage topped 4% in mid-July and then began a steady decline. Now, in late September, those rates are on the rise once again. The week ending Sept. 21 found rates for a 30-year fixed mortgage at 3.83%, up from 3.78% according to Freddie Mac. There is a good chance that the Fed is going to raise interest rates one more time in 2017 and up to three times next year, which will have an additional impact on mortgage rates. Despite interest rates still being near historical lows, rate hikes are impacting the mortgage market. Many homebuyers choose their loans with a tight budget and fail to consider the effect that even a slight increase in rates will have on their monthly payment and housing budget. Controlling inflation is great news for Americans, but interest rate hikes could take a year or more to affect things like inflation or economic growth. In the meantime, the effects on the credit markets and some households are almost instant. In fact, TransUnion published a study showing that 10.6 million Americans could face financial difficulty with their mortgages if the Federal Funds rate goes up. The actual number was much lower, but any delinquencies impact a bank's loan portfolio. Considering that the credit markets have already tightened, the most proactive lenders are looking to partner with an asset management company that is ready to buy loans from banks. Experts predict that the Fed will raise interest rates once more in 2017 and several more times next year. There is no better time than the present to reallocate loan portfolios by selling loans with higher risk and acquiring assets with the greatest opportunity for profits.